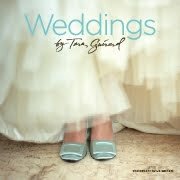 Here’s the Dirt…"Weddings by Tara Guerard"
The new “Weddings by Tara Guerard” is a must for any new bride. Tara Guerard’s talents are simply amazing. for spectacular events and weddings. The book features “Details”, “Bright Ideas” and some of her famous “Recipes”. The book is beautifully photographed by Liz Banfield. the wedding for my friends Sallie Gray and Jason Clayton. Tara and see her work in person. It was such a fun weekend and I was amazed at every little detail. I have enjoyed following Tara’s career. natural talent and vision that inspires so many of us. Tara Guerard’s Bon Bon Blog.